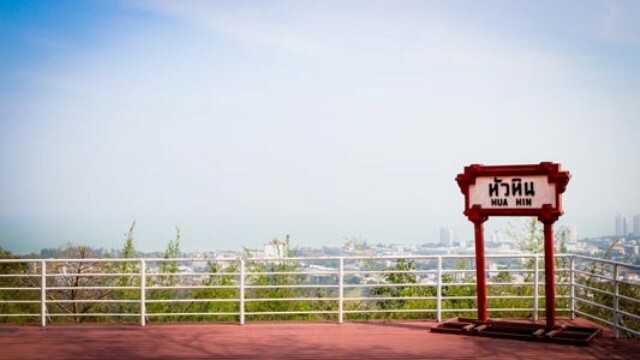 The Khao Hin Lek Fai, a hill located roughly 3 kilometers west from the city center, provides a panoramic view of the province. The hilltop reaches up to 162 meters above the sea level and its peak covers an area of 140.8 acres of developed park. With a secluded public park on a breezy top of a hill, quiet activities like book-reading, sight-seeing or a simple relaxation all sound very appealing. Likewise, jogging, cycling and doing exercise routines are popular activities on the top. The narrow trails are perfect for solitary jogs or jogging with one or two companions, and you can jog around the park or start from the foot of the hill. The climb up the top is steep, though, and is recommended only for the extremely fit. In fact, if you decide to go, it is best to have a motor vehicle transport you up the hill. It’s a difficult climb but the view at the top would be really worth it. The Khao Hin Lek Fai, also often called the Flintstone Hill, has 6 viewing points. Most would tell you that the best views are from points 4 through 6, but while you’re on the top, you should try to see all the viewing areas yourself. To the South you’ll see the Khao Takiab and to the North you’ll see the neighboring beach town of Cha-Am. Near the first viewing deck, you will also see a monument of the King Rama VII with information about his life inscribed on a stone. There is also an aviary at the top, although you should not expect to see anything more than peacocks. Still, you can roam about the park and enjoy the sceneries all around. The best time to go up is in the morning on a clear sunny day. The park is open from 6:00 A.M. till 8:00 P.M. It is easy to get to the hill. It’s an easy walk if you’re used to walking. With the heat of Thailand added to the trip, however, it would be better to ride a tuk-tuk or one of the motorbike taxis that can take you up to the top of the hill. And because Hua Hin is a small town, all the local drivers would know where the hill is. From Highway Number 4, take the right road to Km. 331-332 and just go straight ahead until you reach the hill. So if you want to see the beauty of Hua Hin and its surrounding towns from several kilometers above the ground, the Khao Hin Lek Fai is the perfect place to go to. You will be treated to a magnificent view of the land and everything beyond.